Great top of the morning chicklets! Do I have plans for you today. This is the beginning of a wonderful post day. Later in the afternoon, I expect to have a post up with some Prom makeup for you younger ladies planning the biggest event in your life rivaling even your future wedding! It is the dress up day of your teenage years. Now these looks can be applied to Quincieras as well. Anyway, now, I am bringing you a trend that has been very popular now for a few seasons, the 50s! Which is one of my favorite fashion decades of the 20th century. I found this cute little poodle dress with hip pockets. Its adorable. 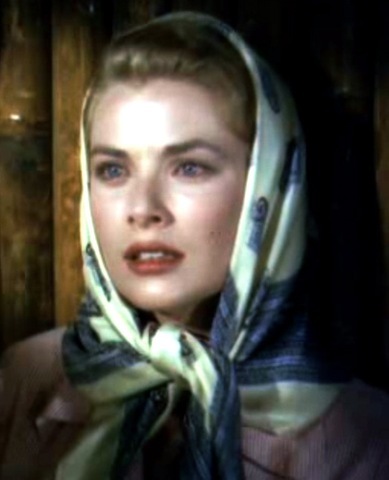 And a silk scarf wrapped around your head and tied at your neck, in the manner of Grace Kelly. And this huge makeup trend of the season, electric pink lipstick--sported by Kelly Osbourne at the Tribeca Film Festival. 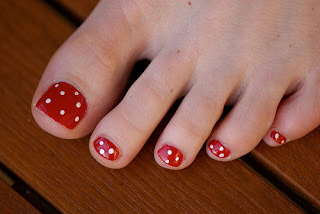 Make sure to use a white or black nail polish to create polk-a-dots which is a hot trend of the moment--one that I was doing last year but the masses must catch on. 2 comments on "Spring Trend 2011--Roman Holiday Inspired Fashion"